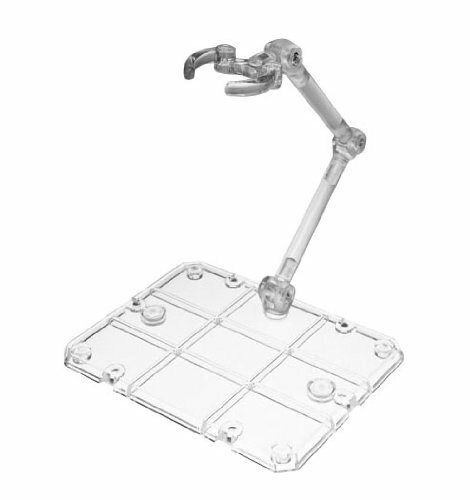 So I was curious what kind of stands you guys use for your Figuarts. I have several bootleg stands that simply drive me insane, and like 1 or 2 official stands that I've gotten from auctions. Specifically one came with Broly I know at least. 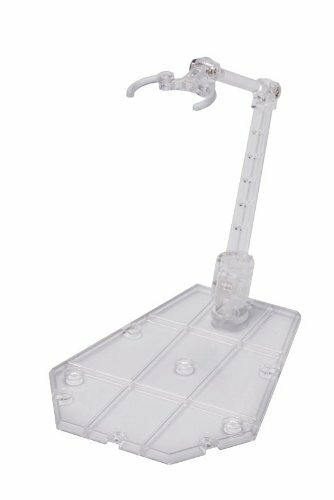 I am in the market for some new stands, especially one for my DaTong SS3 Goku, who came with a stand that broke within 5 minutes of putting it together. If someone has another stand or stands to recommend, I'll happily link, and put an image here to showcase those as well. From what I've read, the Act 5's work best for heavier characters, I would assume something like Broly would actually work much better on an Act 5 than an Act 4. I posted a response on ssc if you wanna check it out. But anyways I like the act 4 better because they come with some of the figuarts and I rather not have different stand so that they don't "stand out". I really don't think the act 5 are much stronger, and I wouldn't feel comfortable with it holding up my broly. I mostly use these & these. Those saint seya stands are actually very similar to the act 4 and come with a lot more pieces if you wanna spend a little more. That second one looks awesome. I mean it is like $10 more but may be worth it. I use the act 4 ones, they are great. Derp, said second, meant first! Found them amiami but they are sold out, and unless they are free shipping, wouldn't be cheaper. ◄VR► I ended up buying the Saint Seiya stage to try it out. I specifically need a new stand for my SS3 Goku with his effect, and hopefully I can get someone else stood up on the same stand as well. Maybe Vegito. Thanks so much for informing me about these stands, the at least look amazing! I use it rarely. The baseplate is good but the actual triple section is kinda flimsy. It's much better if you use the normal Act 4 arms on it though. I've considered picking up one of those trident stands at some point. I always thought they looked interesting. So my new 'Cloth'? stands came in, the saint (seint?) seiya one. I know nothing about that show, and forgive me for butchering the name. I specifically wanted to have them be flight stands to have Goku in SSJ3 with his aura effect, but I can't seem to get them to stand up straight. I don't have them in front of me, but hopefully I can tighten some screws or something? 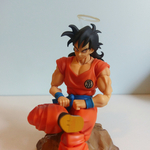 They work great for making sure people are standing in a pose where they shoulder most of their weight, but the Goku flying with SSJ3 Hair and the aura, no dice. Not even Vegito can be held up with the aura too. Yes, you can tighten the screws on the stands, just don't make them too tight. I tightened them up to a point where it FELT like I tightened them too much maybe? But they were still decently easy to move. However they were then tight enough to actually hold up everything. So besides the display stands that sometimes comes with S.H. figurearts figures. What some good 1st/3rd party alternatives?